Recruiting top talent has always been a time consuming activity for most executives, an activity that takes you away from your key area of focus. 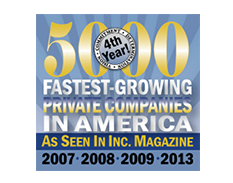 At GRN Coastal, we search for top talent from coast to coast. We have worked in the Electrical, Industrial, Automation and Construction segments and now we are working for companies like you. Let our real world experience deliver you your next generation of leaders that can help deliver top line and bottom line results. GRN Coastal is not a typical recruitment firm, we are business leaders that understand the impact that top talent can make on an organization. We understand the legal impact of decision making and we can connect with potential employees, whether it is seasoned professionals or college hires. GRN Coastal provides executive search services. We acquire top talent from the highest executive role in an organization to field level sales and support functionalities. We perform our searches based on a number of methods. We work closely with our clients to define the best path forward. Search types include the traditional Contingency and Retained search methods to Priority Engaged Search Project or Multiple Opening Searches. We now offer free cutting edge one way or two way video interviewing technology to stream line the recruiting process for candidates you are interested in. We use this technology typically in the one way format asking the candidate five video questions that can be tailored to your specific needs to help screen candidates and find your perfect employee before even meeting them. We provide you with a simple URL link to the candidates page where you can review the candidates responses, comment, rate the candidate, etc. An optional service we provide incudes pre- employment testing. These tests include job-specific screening questionnaires, cognitive ability tests, motivation potential assessment, personality & integrity tests, knowledge & skills tests and surveys. We work with engaged clients to help position candidates with the proper roles within the organization’s hierarchy. We don’t just try to fill an opening but rather understand the companies’ long term strategy and work with clients to ensure proper onboarding and that processes are in place to secure accountability and execution of business plans and strategy. GRN Coastal, a leading recruitment firm specializing in the electrical, automation, plumbing, PVF, HVAC and renewable energy industries, was recently recognized as the Top Performing Rookie Office at GRN’s annual meeting. Additionally, John Salvadore, principal of GRN Coastal, was recognized as the Rookie of the Year. We are from the industry, for the industry. We specialize in finding top talent in actual businesses and industries that we have worked in ourselves. Specific to the positions we recruit for; we have held a similar role ourselves, managed the roles or interacted daily with people that hold the same title in industry. We have many clients in the distribution and manufacturing sectors promoting MRO (Maintenance, Repair and Operational) oriented products. Technically driven top talent in the areas of PLC, Drives, Motion Control, HMI, Controls, Software. A wide angle sector ranging from Power Transmissions to Industrial Mill Supply. Clients and candidates that provide customers expertise in Switchgear and electrical, power and conditioning. GRN’s College Hire program is all about streamlining the College Recruitment process for employers, universities, graduates and student athletes. Our program connects top college talent with top employers. GRN Coastal partners with colleges and helps their students get their first job in dynamic organizations that present career paths. Our team consists of industry focused executives and support personal available to our Candidates and clients on a 24/7 basis. 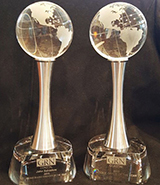 GRN (Global Recruiters® Network) has been recognized as the one of Inc. Magazines fastest growing private companies in America on multiple occasions. At Global Recruiters® Network (GRN) ,our goal is to offer world-class permanent placement services by providing leading companies top performing talent, under the most demanding deadlines, who meet and exceed expectations. 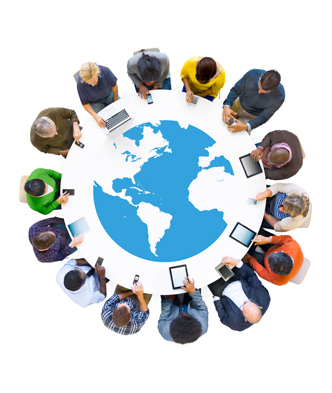 We have a global recruiting presence with an expansive network, rapidly approaching 200 locations across North America and have placed over 1700 candidates in over 20 countries across the 5 continents. 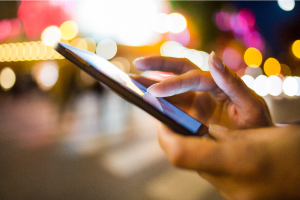 Our people, technology and experience are the advantage you need in today’s competitive business environment of talent acquisition….and we are all interconnected! 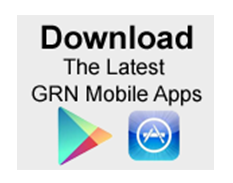 When you hire GRN, you get the value and presence of our entire network. GRN Coastal is an executive search firm which addresses the need of having true, real world experience added to the recruitment sector in the markets we service. We provide that level of granular knowledge when it comes to selecting qualified top candidates and presenting them to our clients. We focus on the Industrial, Construction and Automation industries. We don’t just deliver candidates’ resumes…we deliver finalists for the position. We know what your needs having actually worked in the manufacturing, distribution and services sectors for some of the finest organizations in the industries we serve. SEASONED PROFESSIONAL TO COLLEGE HIRE The workforce is constantly changing and having a search firm that can relate to the challenges of both the client and candidate is very important. At GRN Coastal we apply our strengths to candidates ranging from the seasoned CEO to the new college hire. Our personnel are focused on delivering results and creating an understanding of your needs and the opportunities for the right candidate. We concentrate on Executive management, Sales management, Technical sales, Marketing, Engineering and Operational roles. John Salvadore and GRN have rapidly become a major factor in industry recruitment because they have the experience of actual being from the industry. Salvadore has worked at many different companies and amassed such a great reputation that executives and owners trust his firm with bringing the industries best talent to their organization. Being from the industry and now working for the industry is something that can’t be easily duplicated by any internal talent acquisition team, especially with a large variety of products, services and geographical needs. GRN Coastal has become a very reliable resource for our recruitment needs. They communicate extremely well, we are always in sync with their search process and they always deliver what I am looking for. I have moved away from some of my traditional recruiters because GRN Coastal is just simply much better. GRN Coastal has helped us fill some very difficult positons, they are able to apply resources and quickly find us the type of people that our internal team couldn’t. They are a big part of our recruitment effort. GRN Coastal provides us with top talent quickly, they know where to search and are able to qualify candidates rapidly. The electrical industry has needed a firm that really understands what type of people are truly needed at the street level to fill our key positions. GRN Coastal is the answer to that need. GRN Coastal has been working with us for a number of years now and they have helped us find top talent in a variety of roles for our high growth electrical distribution business. We depend on GRN Coastal to source us talent quickly that can make an impact. Their industry knowledge is second to none, we give them the assignment, they find us the talent, they understand our needs right away. Their industry experience truly has paid off for us. Automotive Business Manager- National Manufacturer of automotive electronics and factory automation equipment. 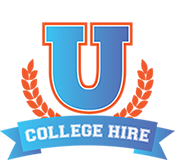 College Hire Program– Successful and Feasible across varying industries. "The Leader in Professional Transition" is a registered trademark of Global Recruiters Network, Inc. | Copyright © 2015 Global Recruiters® Network. All Rights Reserved.